For the smoothest finish on the bottom of your kiln-fired projects. Faster and easier to use than kiln wash primer. Less mess, too! Good for one use only. 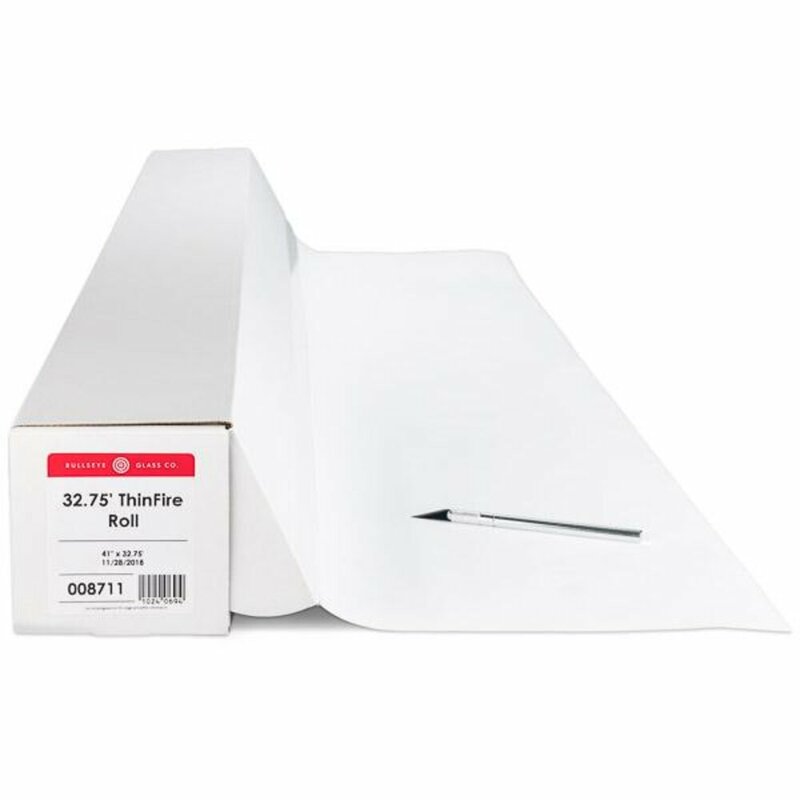 For best results, fire glass against the smoothest side of the paper. Thinfire paper has been updated recently to include the Bullseye Glass logo on one side of the paper, so the pack you receive may or may not have the Bullseye logo on it - this is the only difference. This logo side of the paper should go down, against the kiln shelf.